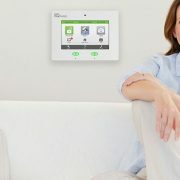 Specialties: Installations for residential and commercial electronic systems. 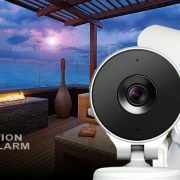 Alarm systems, Local and remote video, Data, cable, and Audio/video. Decorative and fragranced candles may be an attractive addition to your home décor, but if used improperly, they can be a serious fire hazard. Residential fires caused by candles have more than doubled over the past decade. According to a pilot study of candle fires by the Consumer Product Safety Commission (CPSC), most candle fires were caused by combustibles being too close to the candle. The next most common cause of candle fires was due to the candle falling over or being knocked over by wind, doors, children or pets. Candles are dangerous nightlights. 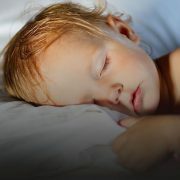 Try to avoid using candles in bedrooms and other areas where people may fall asleep. Supervise children. Store candles, matches and lighters up high and out of children’s sight and reach, preferably in a locked cabinet. Always stay in the room where candles are being burned. It only takes seconds for a fire to start and minutes for your home to be fully engulfed in flames and dangerous gases. Keep candles a minimum of 1 foot, in all directions, from flammable and combustible items such as curtains or bedding. Make sure curtains cannot be blown into the candle by wind. Avoid burning candles for more than four hours at a time. Do not move a glass container when the wax is liquid. Use sturdy candle holders that won’t tip or burn. Burn candles on sturdy uncluttered surfaces. Trim candle wicks to one-quarter inch before lighting. When lighting candles, keep your hair and clothing away from the flame. Extinguish candles when they burn to within two inches of their holder. Be careful not to splatter hot wax when extinguishing a candle. Keep candles away from children or within reach of children. Remember, when you go out, extinguish candles…even if you will only be gone for a short while. Avoid using candles during power outages. Have flashlights, batteries, and battery-powered lights on hand for emergency lighting. Place candles away from windows, doorways or any place where drafts could affect the flame. Remember, smoke detectors are life savers. The primary fire safety strategy for any home is to warn the occupants early. The best way to get the earliest warning of danger is by installing sufficient smoke detectors. 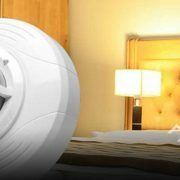 Monitored smoke detectors are the best choice as they allow you and your family to escape while the Central Monitoring Station calls the fire department. 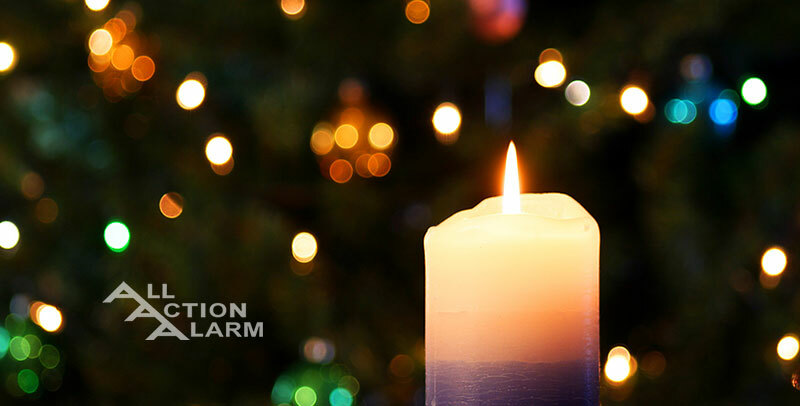 For more information regarding monitored fire protection for your home, please contact us today. 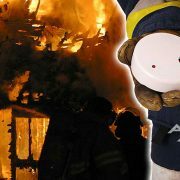 Please remember, if you have battery powered smoke detectors make sure to change the batteries every six months. Have a wonderful SAFE day! 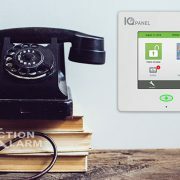 Wireless v. Wired Alarm Systems: Which is Better? Is It Time To Retire These Vintage Security Ideas? 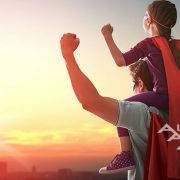 All Action Alarm is a family owned business that has been protecting Long Island and New York City Homes and Businesses since 1980. When you choose All Action Alarm you get the personal service you expect from your local Long Island Company.